Browsing articles tagged with " reno"
Compton, California (October 14, 2015) – 4 Wheel Parts is sponsoring the second annual Ultra4 Nitto National Championship October 16-17 in Reno, Nevada. 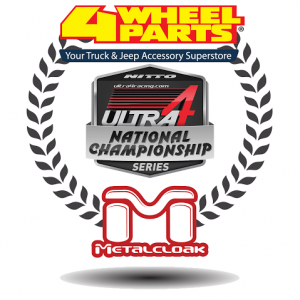 Wild West Motorsports Park will be the site of a two-mile long natural terrain course where members of Team 4 Wheel Parts will compete in the two-day event presented by MetalCloak. 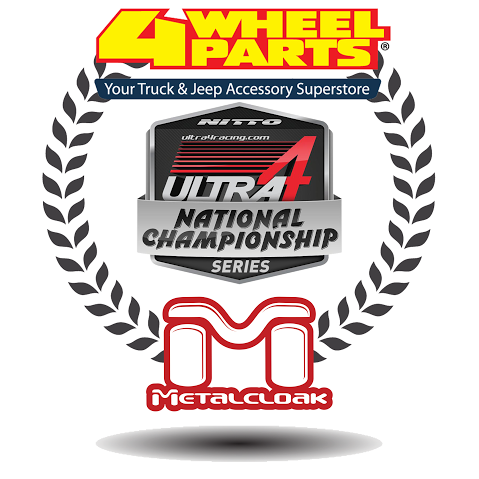 Champions from each division in Ultra4 Series competition will gather to contend for the National Title and Greg Adler and Brent Goegebuer will be battling for Team 4 Wheel Parts. Characterized as “King of the Hammers on a Short Course,” the track features straightaways, steep hill climbs and rock heavy sections for crawling. Forecasted to be a war of attrition with over 120 drivers registered, the field includes off-road racing luminaries Shannon Campbell and Loren Healy. Classes are Stock, Mod, Spec, Legends, 4400 and UTV and Greg Adler’s #210 car and Goegebuer’s #4473 rig will race in the 4400 class. The course has altered from last year, but the one constant is it’s still varied and challenging. “Huge elevation changes, difficult rock climbs and monster jumps will push our new Ultra4 cars to the extreme,” said 4 Wheel Parts’ Advertising Director Brent Goegebuer. On site vendors including Smittybilt and Rubicon Express will offer attendees aftermarket truck parts and Jeep Wrangler accessories. Tickets to the race are available at the Ultra4 racing website at ultra4racing.com. 4 Wheel Parts is the global leader in off-road truck, Jeep and aftermarket performance products. With 71 locations across the U.S. and Canada and growing, 4 Wheel Parts Service Centers install all the products they sell. Maintaining the nation’s largest inventory of off-road tires and wheels, lift kits and Jeep accessories, 4 Wheel Parts serves customers across the country and around the globe. Life is Better Off-Road™. Visit them at 4wheelparts.com or call toll-free 877-474-4821. 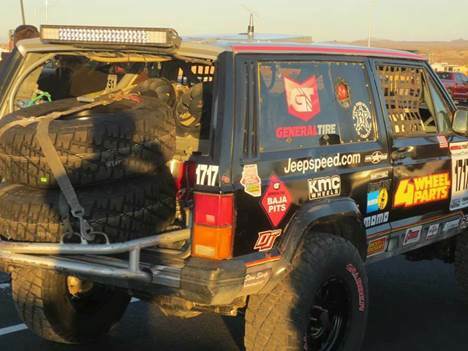 Compton, California (August 12, 2015) – This weekend marks the 19th edition of the “Longest off-road race in the United States” and Team 4 Wheel Parts, in partnership with General Tire, will be challenging the grueling 545-mile course in the #1717 JeepSpeed XJ, with a pair of distinctive co-drivers making their off-road racing debut. 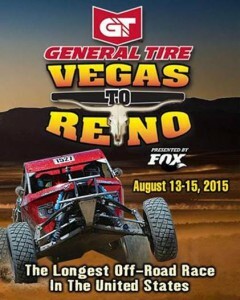 The Best in the Desert “General Tire Vegas to Reno” race will see more than 300 entries from across the country and around the world take on the Nevada desert on a punishing course as they traverse the Silver State. Among them will be 4 Wheel Parts’ salesmen, Victor Rosales Jr. from the Chula Vista location and Ronald Sims, traveling to Nevada all the way from the 4 Wheel Parts Hawaii store, who will be sharing time in the navigator’s seat courtesy of General Tire as Team 4 Wheel Parts’ Dylan Cochran pilots the #1717. Victor and Ronald stood head and shoulders above their 4 Wheel Parts peers in the sales of General Grabber tires and now they have the chance to race on those identical tires in the Best in the Desert Series’ signature event. 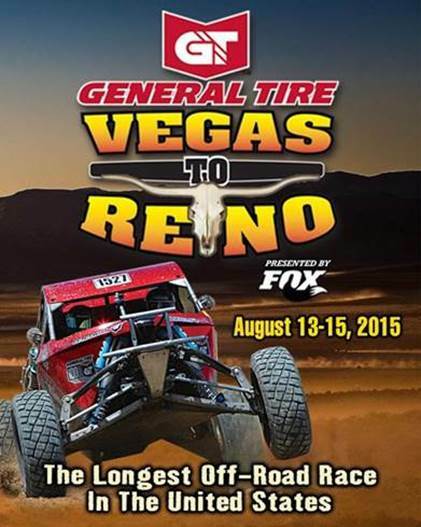 The Best in the Desert “General Tire Vegas to Reno” race kicks off early on Friday, August 14 in Beatty, Nevada, about 100 miles north of Las Vegas and continues to the finish line at the Nevada Event Center in Dayton, just south of Reno. In addition to the #1717 challenging in the Jeepspeed class, entrants in America’s longest off-road race include motorcycles, quads, UTVs, purpose-built buggies and trucks as well as the 7,000 lb. 600HP Trick Trucks tearing across the open desert, all vying for individual class titles as well as the overall victory.